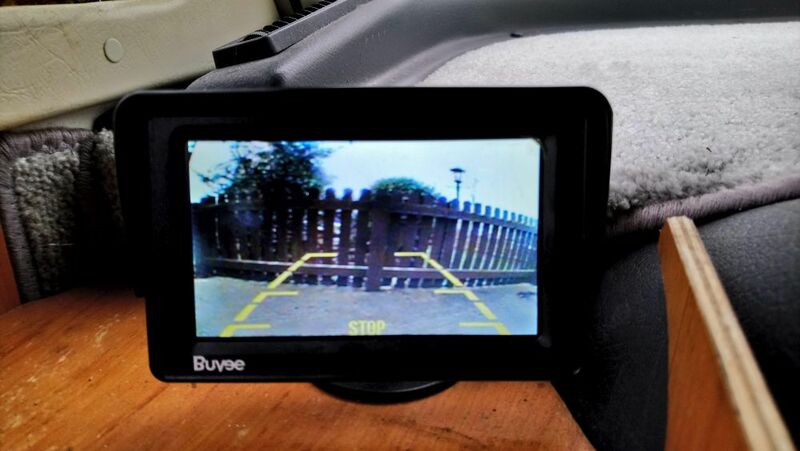 Motorhomes tend to have pretty appalling rear visibility, so reversing cameras are a popular accessory. 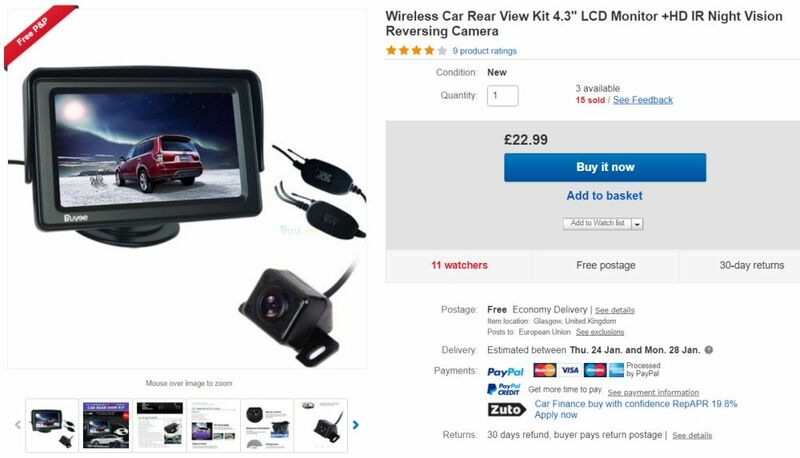 You don’t need to spend hundreds of pounds, perfectly acceptable wireless reversing cameras kits are available for less than £25 from places like eBay, and are really easy to install! The wireless receiver unit plugs into the monitor, and can be connected to the same switched power feed as the monitor. Finding an ignition switched supply is just a matter of rummaging about under the dash with a multimeter until you find a circuit that comes live when the ignition is switched on. 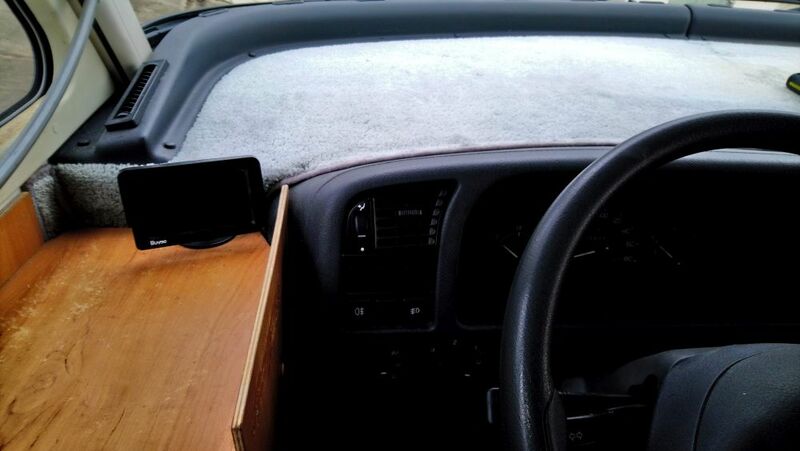 For the earth you can use any earth stud on the body – there should be at least one easily accessible under the dash. Next step is to mount the camera and the wireless transmitter. 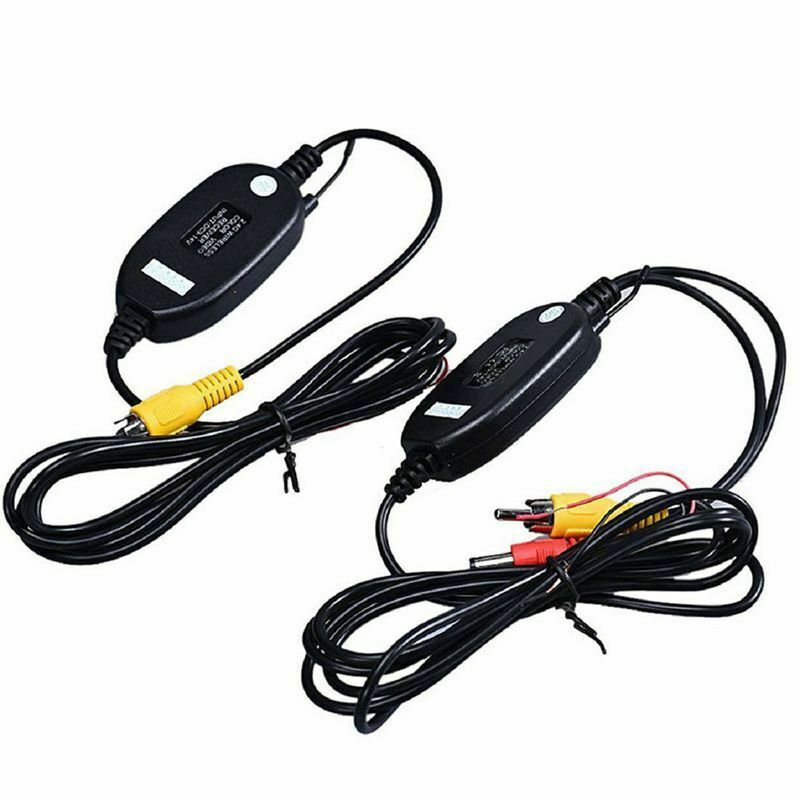 As you want the camera and transmitter to only be active when you are in reverse the easiest solution is to power them from the reversing light signal. I mounted the camera just above the number plate on the rear bumper as it was easy to access the reversing lamp wiring from here. 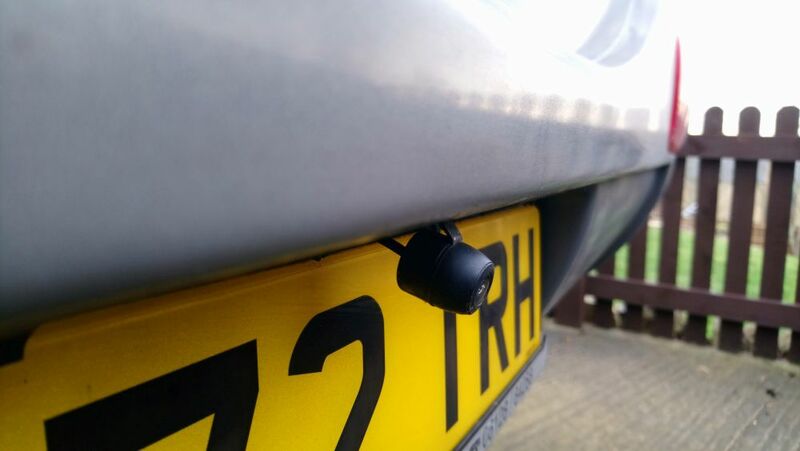 The wireless transmitter is tucked away behind the bumper. Mounting the camera high up on the back of the van would give a better field of view, but the wiring is much easier with it mounted on the bumper! With it all installed like this the monitor and received will power up and start listening for a signal as you as you turn the ignition on. The monitor will stay off until it sees a signal though so you won’t see anything until you select reverse.